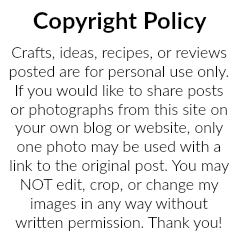 This post is sponsored by BOOMCHICKAPOP, the content and opinions are my own. 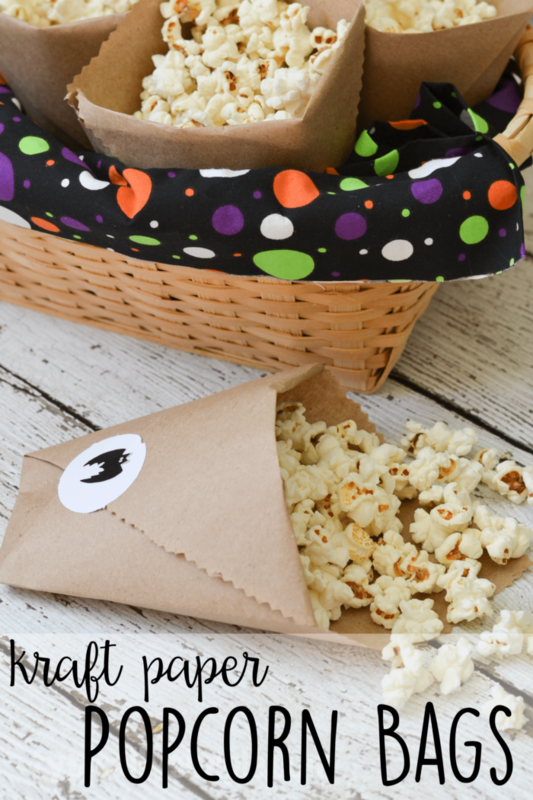 These easy DIY kraft paper bags are a fun way to serve popcorn at your Halloween parties! 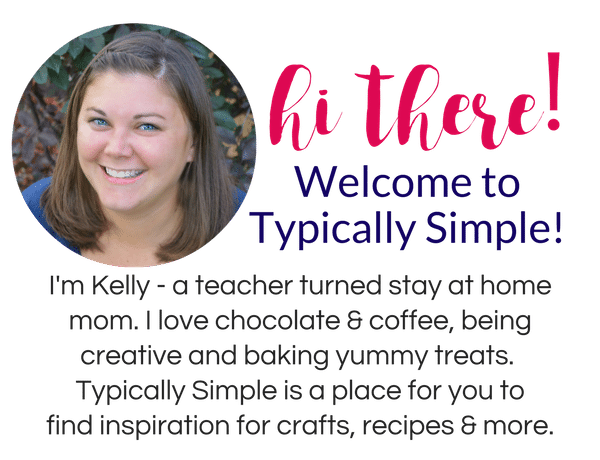 Just personalize the stickers to go with your party theme! Popcorn has always been one of my favorite snacks, especially the prepopped kind that comes in a bag. 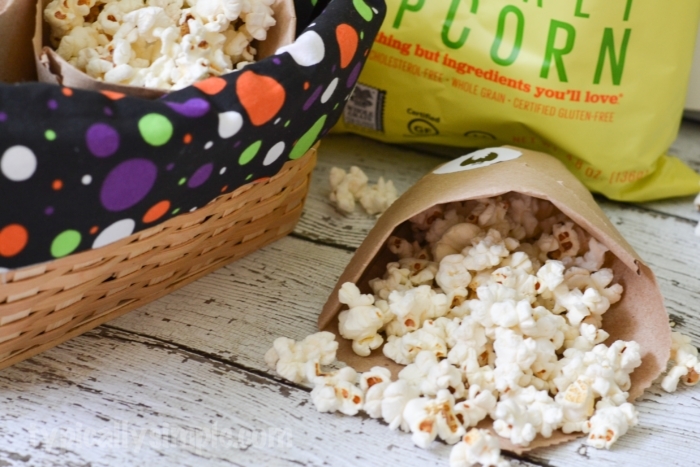 Halloween is just around the corner, so I thought it would be fun to serve popcorn in their own little bags at a Halloween party. With some kraft paper and a sticker, these bags are super quick to make! 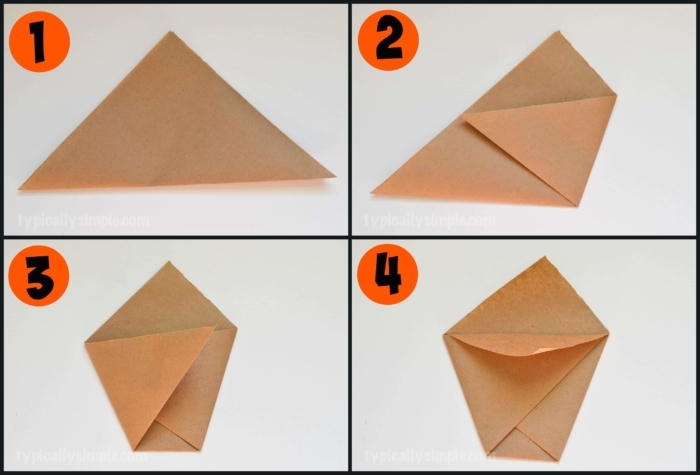 Fold the square corner to corner to make a triangle. With the creased side at the bottom, take one corner and fold it across to the other side. Trim the open edges with fun scissors if desired. 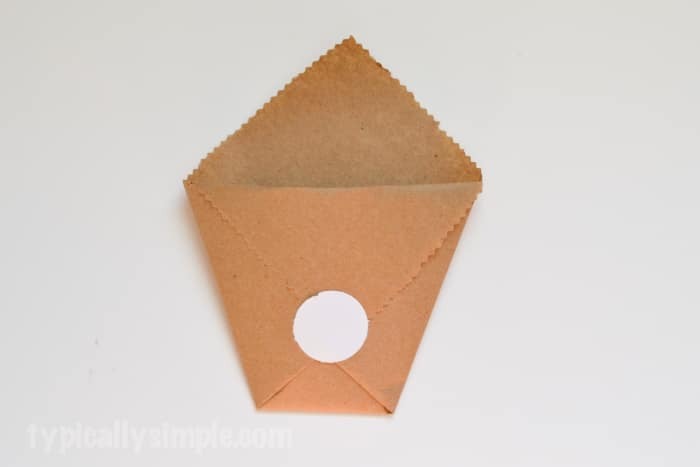 Fold down the top layer of paper to create a pocket and secure with a sticker. 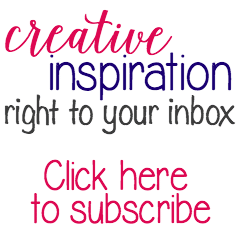 Decorate the bag or sticker to match the theme of your party! I just stuck on a few pumpkin and bat stickers, but these would also be fun to stamp. Then fill each bag with popcorn and display in a basket for the party! 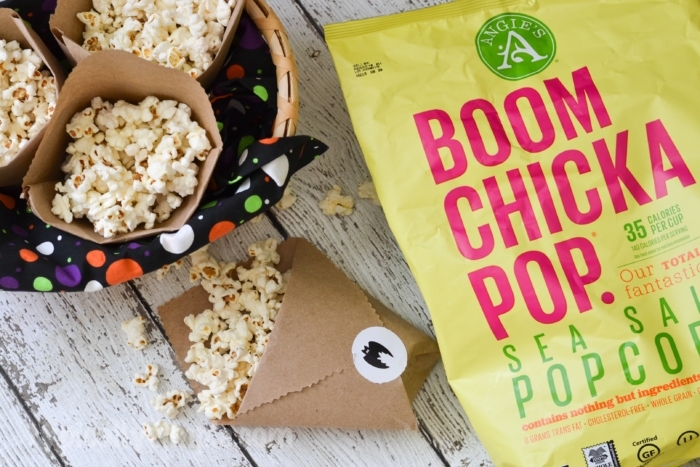 My favorite brand of popcorn is definitely BOOMCHICKAPOP….so many tasty flavors, I have a hard time eating just one bowl. I had it for the first time a few years ago in Minnesota and my taste buds fell in love. My mother-in-law has sent us some BOOMCHICKAPOP care packages and when I recently saw it at our local grocery store, I was so excited! Sea Salt is by far my favorite, but Lightly Sweet comes in a close second.